These Merrell Moab 2 GTX Walking Boots may not look like your average hiking shoes, but have some interesting features that appeal to many users. 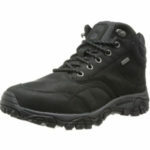 This Merrell boots are also popular as a tennis shoes. While this may sound a little odd, it does perhaps speak volumes about the comfort of these shoes. This low rise model has a breathable lining, moulded arch and a low heel. There is the promise of out of the box comfort and this is true to an extent. Many agree that they are easy to wear straight away, but still an element of breaking them in. As for the features with hiking in mind. 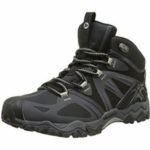 This is sold as fully waterproof walking shoe that should be able to hold up to rain and damper terrain. There is also a protective toe cap to stop wearers stubbing their toes on rocks and a nice grip on the gum rubber sole. 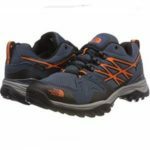 The style of the shoe means that this is well suited for walking and hiking in different situations as well. Unfortunately, there are some downsides to these Merrell GTX Low Rise Boots for those keen on longer walks. The first thing to mention here is that there are some size issues with the options in the range. There are a few consumers that ended up returning the shoes and buying a half-size up. There are also some comments about the shoes getting a little hotter than expected. This has some negative implications for anyone looking for longer walks in hotter months. Otherwise, the comments for this shoe are pretty positive. What does this all mean for a final verdict on this Merrell Moab 2 Hiking Boot? This shoe definitely has a lot of potential for the right wearer. There will be plenty of users that see this as a great alternative to the bigger, heavier walking boot. 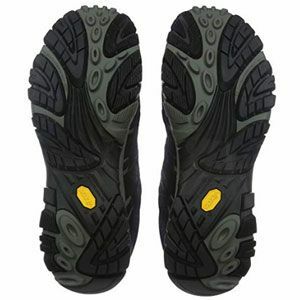 The comfort and protection offered means that this is a still a pretty reliable shoe in many situations. However, there are possible drawbacks for those that like longer, more frequent walks. 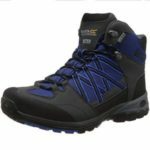 As it is, these Merrell walking boots are still an interesting compromise between a sneaker and hiking boot. 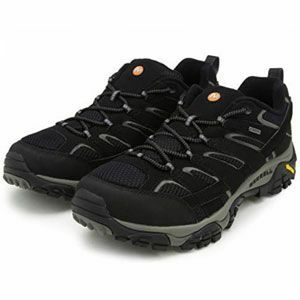 Find more reviews about the Merrell Moab 2 GTX Low Rise Hiking Boots on Amazon here.